Studies show little difference in the incidence of iron deficiency between vegans and non-vegetarians in developed countries. In fact, the amount of iron in vegan diets tends to be higher than or at least equal to, that in non-vegetarian diets. Why? Because almost everything that crosses a vegan’s lips contains iron: beans, nuts, seeds, grains, vegetables and fruit. There are two different types of iron in food: heme iron and nonheme iron, Heme iron is found in animal products; nonheme iron is found in both plants foods and animal products. After being absorbed and reaching our cells for building hemoglobin and other purposes, our body doesn’t care whether the iron was originally heme or nonheme. So, when people assert that our bodies need heme iron from meat. It’s simply not true. The body needs to absorb iron, but it ultimately doesn’t matter where it originated. 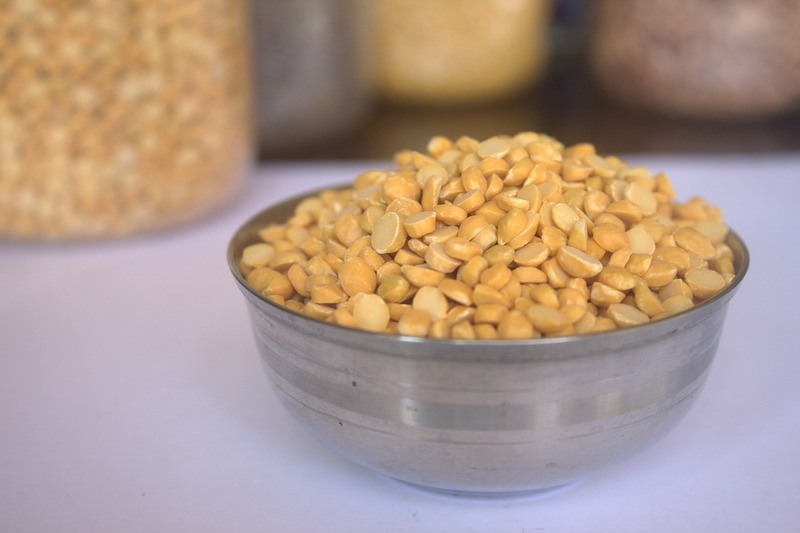 A cup of cooked lentils has 30 grams of iron. It is not even the amount of iron we ingest, but our ability to absorb and use it. The key to the bioavailability of iron is Vitamin C, so eat food rich in Vitamin C at the same time as foods rich in iron. An adult menstruating woman like myself requires 18 milligrams of iron per day. Plenty of plant foods are high in iron. My doctor rang me the night of my blood test. “Let me put it this way,” she explained, “your haemoglobin is a few points away from you in a coma, I don’t know how you are still standing.” I didn’t really know either. I was beyond exhausted and barely functioning. It was all I could do to get through a day at work. For more than six weeks straight I had been bleeding heavily and constantly. People were worriedly inquiring about my health. Apparently, I looked grey. In the past week, I had started to feel disassociated from my body; like I was moving through a thick fog. Sometimes I could feel the pulse in my neck racing so fast, I started worrying I might be due for a heart attack. Yet, it took my boss kicking me out the door one afternoon and ordering me to the doctor’s office to finally take action. Chapter 5 has a series of questions for the reader to answer before diving into the challenge. Here I reflect on more of these questions: before I started the vegan journey, my experience during the first six months, and how I would answer the question now. Here are the second and third questions, with my thoughts. I have been thinking a lot lately about my past; trying to figure out why it took over four decades for me to make the connection and go vegan. It was only my third day at the freezing works when I took a wrong turn on my way to the cafeteria. Three men were walking towards me, overalls, faces, hair all drenched in blood. Clearly headed for the showers on their way from the kill sheds. I could hear blood squelching from their gumboots. For a moment, I couldn’t breathe for shock. Then, just as quickly, a thought whispered from behind the horror. Don’t worry, it’s just the pigs. I could feel myself start to relax, but the tense faces of the blood soaked men stopped me from speaking. Something had happened. What I never learned. We all just nodded grimly to each other in acknowledgement. I turned back towards the cafeteria.